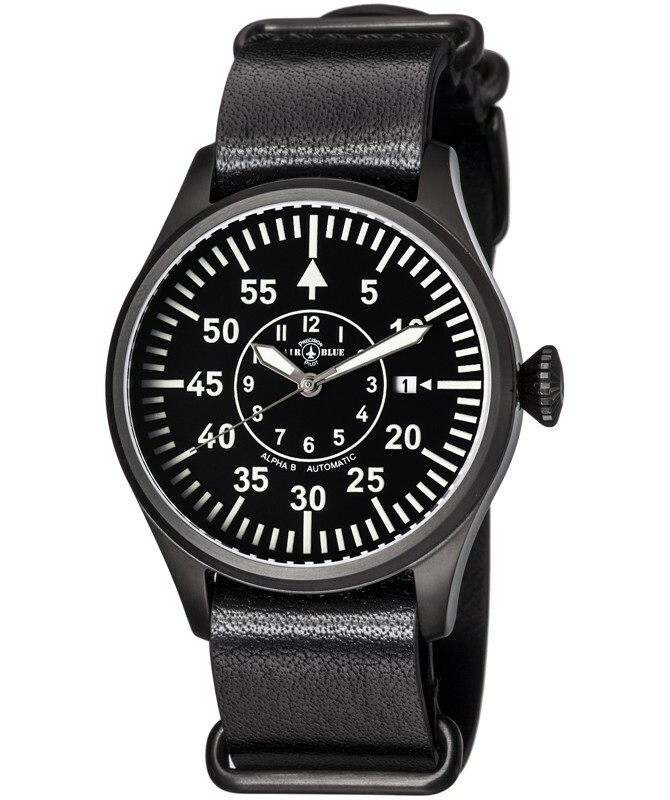 The Air Blue Alpha B Auto represents a classic and historic look in a flieger watch (pilot watch, also know as a “Beobachtungsuhren” or “B-Uhren“). 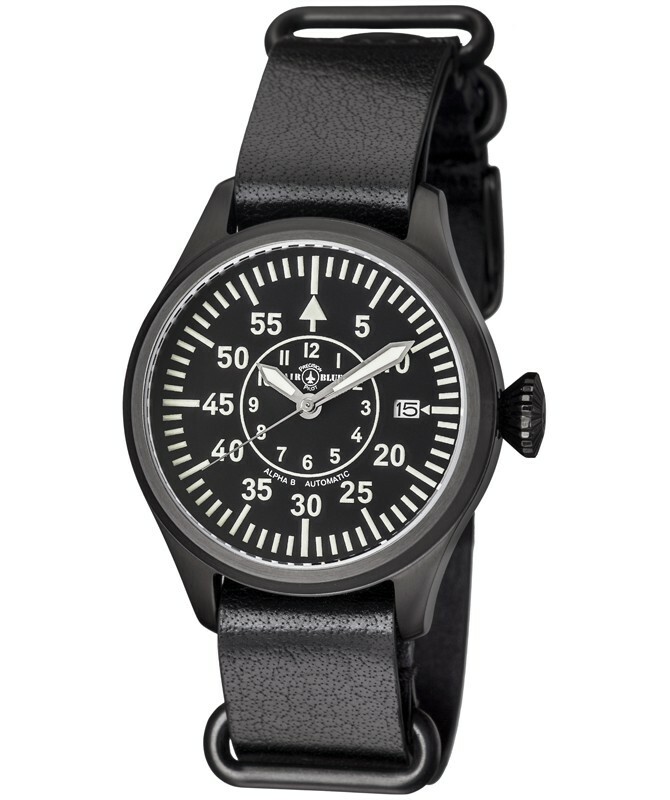 In the case of the Alpha B, it features a traditional Baumuster B style dial (circa 1941) which is very reminiscent of the instrumentation or gauges you would have found on the dash of airplanes of that time period. All luminescence is done in BGW9 Super Luminova. 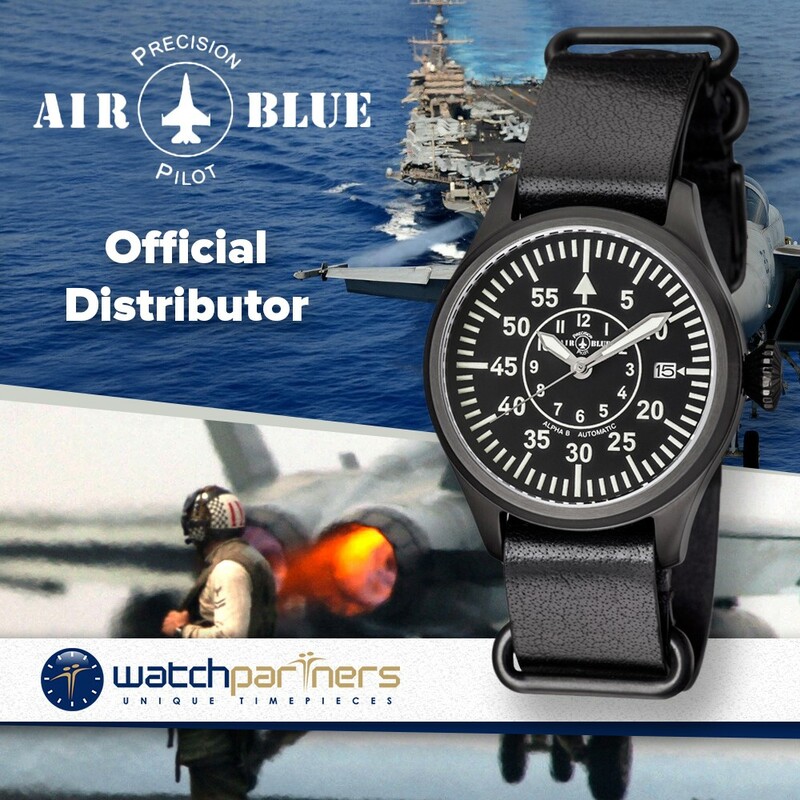 Each Alpha B is offered in a more classic 41mm case diameter, a more modern 44mm mid-sized case diameter and a slightly oversized 47mm case diameter. Powered by the 24 jewel SII NH35A automatic, the Alpha B gives the same “look and feel” of flieger/B-Uhren timepieces of that era that often used pocket watch movements.